This volume contains data on the supply and consumption of coal, oil, gas, electricity, heat, renewables and waste presented as comprehensive energy balances expressed in million tonnes of oil equivalent. Complete data are available for 2012 and 2013 and supply estimates are available for the most recent year (i.e. 2014). Historical tables summarise production, trade and final consumption data as well as key energy and economic indicators. The book also includes definitions of products and flows, explanatory notes on the individual country data and conversion factors from original units to energy units. 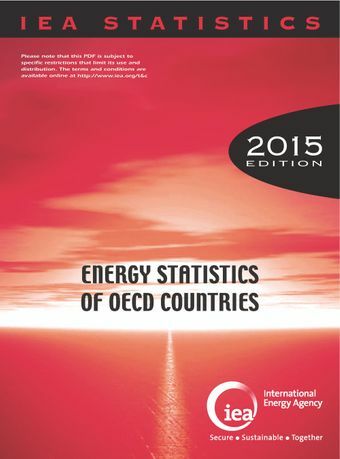 More detailed data in original units are published in the 2015 edition of Energy Statistics of OECD Countries, the sister volume of this publication.